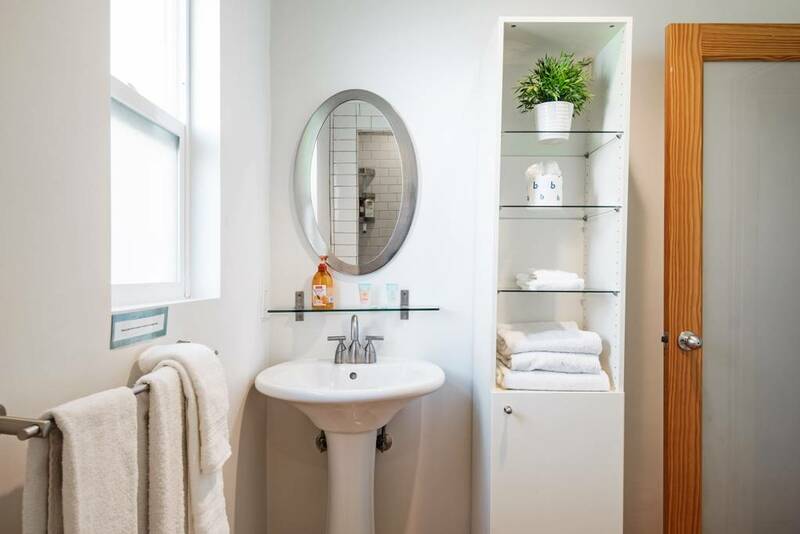 Situated only steps from world-famous Abbott Kinney Boulevard, the main shopping street of Venice, this completely redone, modern and tastefully decorated deluxe apartment suite places you right in the heart of a new, revitalized Venice. VE Santa Clara E offers easy access to wonderful restaurants, great stores, modern galleries and a vibrant nightlife. 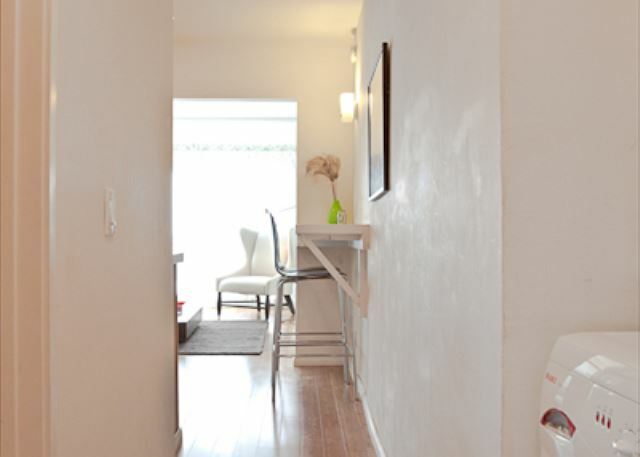 And with only a short walk to the Venice Boardwalk and Venice Beach, you have the best of both worlds right at your doorstep! 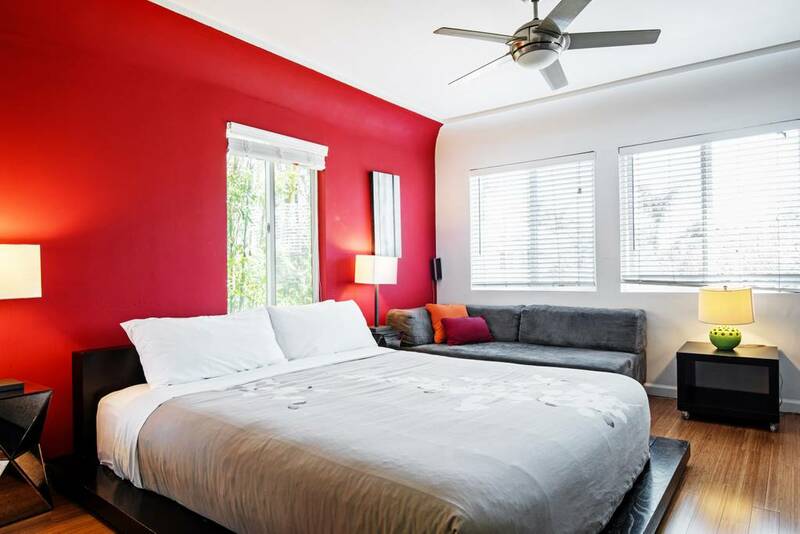 This vacation rental studio apartment is located on the second floor of a handsome, completely redone, six-unit apartment building. Its many windows make the apartment sunny and bright. Tall bamboo plants on the side of the building sway in the breeze, giving you the feeling of being in a tree house. 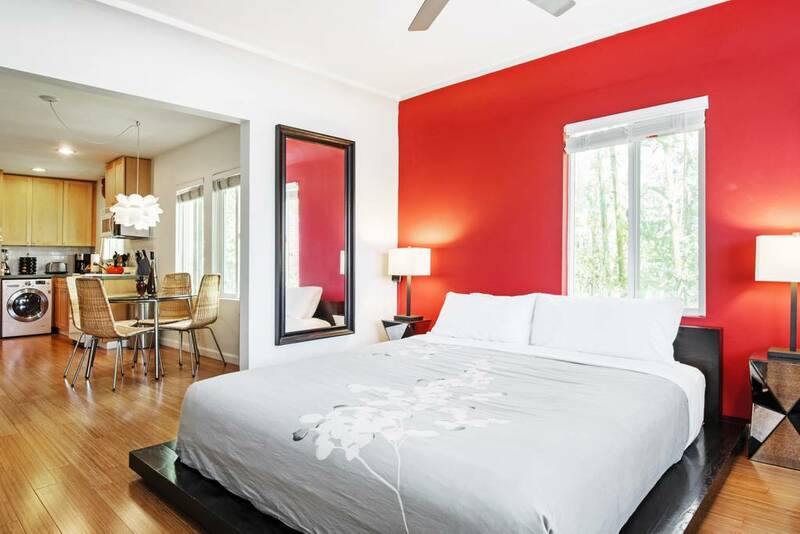 It features comfortable, contemporary furniture and two living areas. One contains the dining area, which is next to a brand new modern kitchen with fridge, stove/oven, microwave, and combined washer/dryer. The other area contains a queen size bed, an spacious seating area with two chairs, one of which folds out into a single bed if needed. 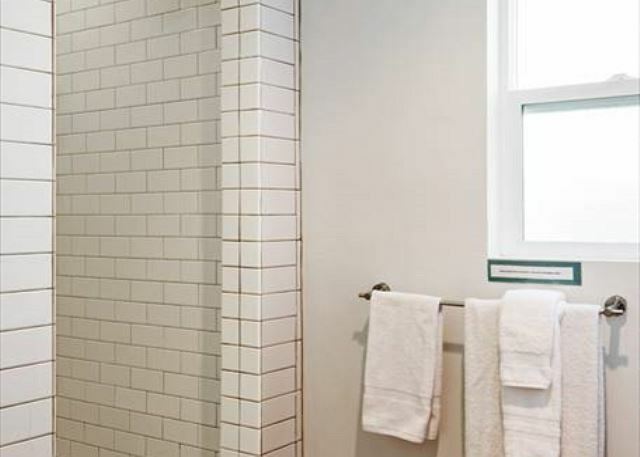 A modern bathroom includes an over-sized, walk-in shower with large rain showerhead. 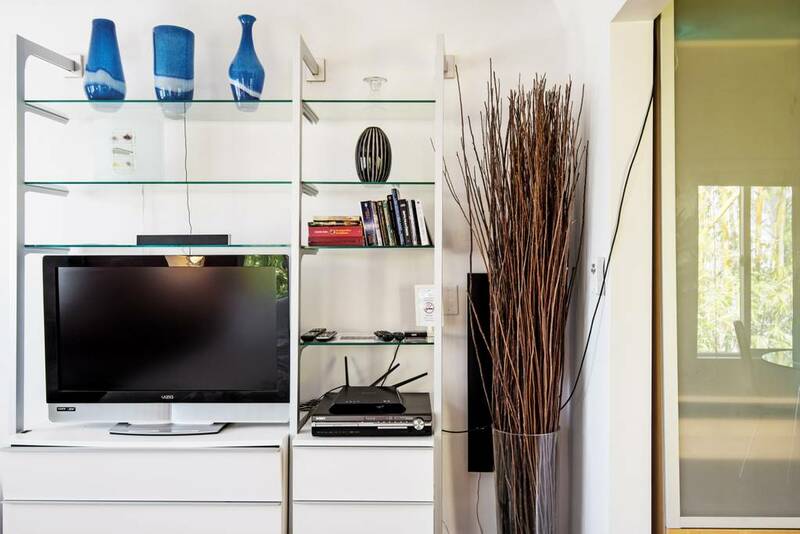 The apartment has a 37" flat screen TV with surround sound system and wireless Internet access. The apartment comes with one designated parking spot behind the building. As most beach properties along the California Coastline, this property is not equipped with an A/C unit. With average beach temperatures ranging from 65 to 75 degrees year round, air conditioning is not generally needed in our beach areas. For our warmer days, each of our beach properties is equipped with portable ventilator fans which, when combined with open windows, allow the fresh ocean air to circulate and cool your property to a very pleasant temperature. 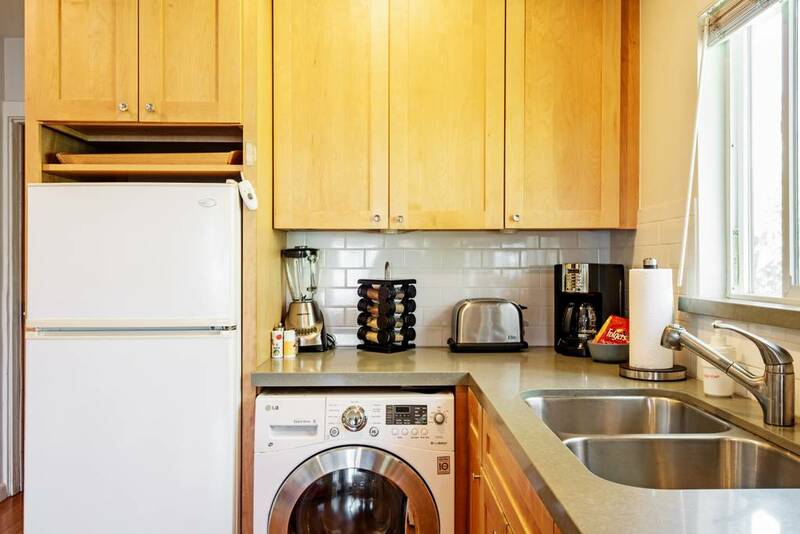 Great apartment - Excellent location! We didn’t know what to expect in regards to the area /location of the property ... and for that matter the property itself. It turned out to be a perfect location right by Abbott Kinney with all the little shops, bars and restaurants. It was also an easy 15 min walk to Venice Beach. The apartment was simple, nice and clean. It had everything we needed. We would definitely come back. Perfect location near restaurants and shopping and close to the beach. The apartment is cute, clear and very convenient. The parking stand in the back is noticeable, particularly in this area. Very comfortable bed. Therefore, the check-in and out were too strict (4 hours for housekeeping is excessive for such a small place!). Flat in a Great location! 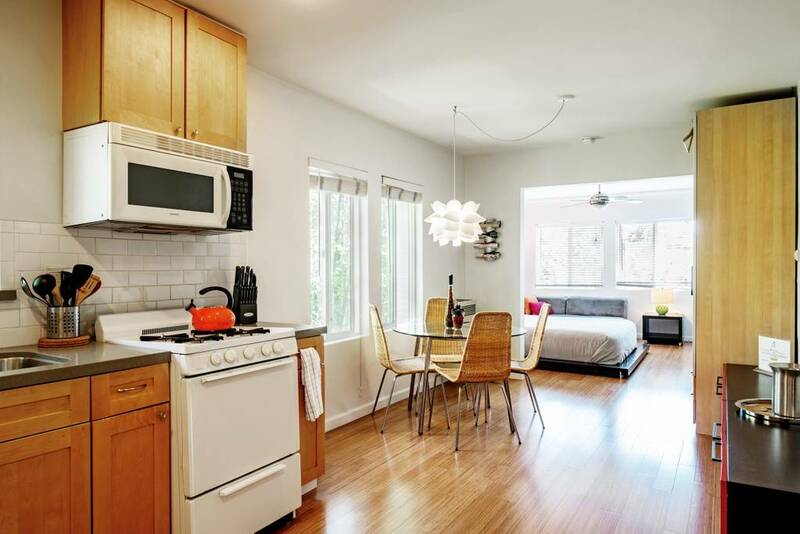 The flat has a great location only few steps to Abbot Kinney. The reservation process, check-in/out process was really smooth. We got answers quickly. The only thing that I don't like is some furnitures are really old so you don't feel that clean. Although all the sheets and towels were clean. But overall we were satisfied with our stay and it is a spacious apartment. Great location! Would stay again! Amazing! Place was very comfortable and easy to access which was greatly appreciated as we were in and out during our stay. Amenities were great with a full kitchen & bathroom and bed was comfortable. Enjoyed our stay except for few short comings. We're without TV service for our entire stay.Our assigned parking spot was occupied by other guests/un authorized vehicle most of the time. 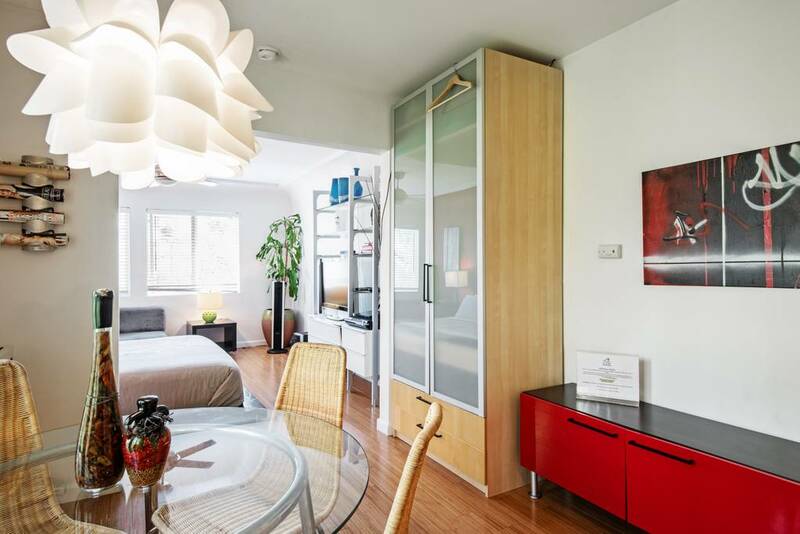 Really cool apartmet in awesome location! This was a great spot for our stay in Venice! 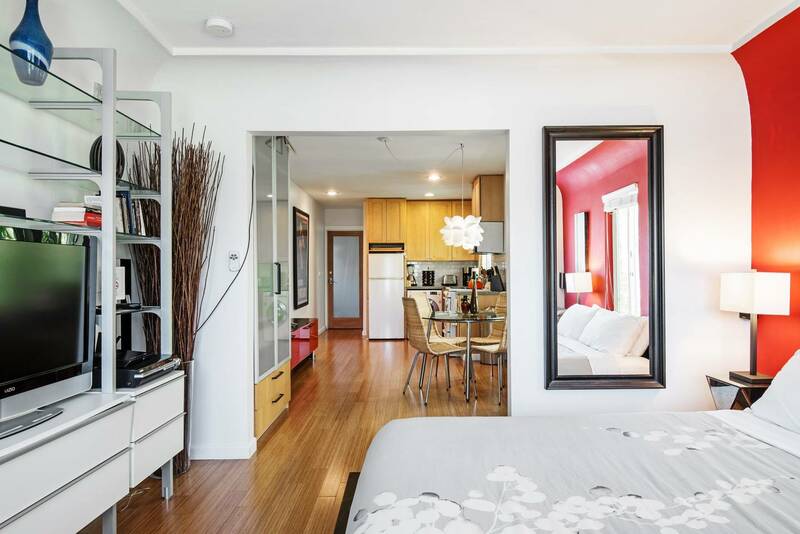 Great location, walking distance from the beach, great shops and restaurants! Very clean and great experience! Will definitely stay here again. Stayed for 4 nights in this apartment. First of all the location is prime. 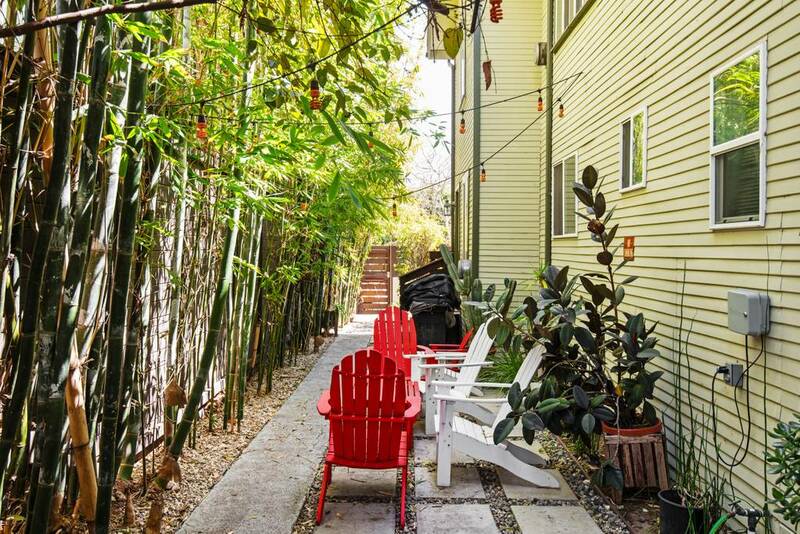 2minutes walk from Abbot Kinney with all the with all the restaurants & coffee shops. Only 10minute walk to the beach. We hardly moved the car while we were there, only to pick up supplies at Whole Foods in a 3 minute drive away. The apartment is in an ok condition. Everything was clean, but there is some freshening needed to make this a top destination. It was a great location. Out the window you could see Abbot Kinney with amazing artwork. However the ceiling fan and light did not work. The chair by the mirror was also not present during my stay. The property was clean but the floors a little dusty and the shower could use some extra TLC. But besides that it was an amazing experience. I would recommend this property to a friend. Good location to my daughters. Quiet clean experience. Would rent again if needed. Beautiful. Great location. Friendly helpful staff. Great location. It was easy to check in and out as they give you instruction via e-mail and text. I was attending a work function and found this place perfect for all my needs. It was clean, stylish, and roomy. Room itself was well equipped and comfortable. I could go on and on but suffice it to say I was very pleased with my stay, and although short and sweet this time, I hope to be back for a longer visit in the future. Normally I would not even have mentioned these things, cause I am not a difficult person. However, when Globe Homes wanted to charge me a late check out fee for me leaving my suitcase for 30 mins in the apartment cause I wanted to get a coffee before taking off, that annoyed me quite a bit and made me write this review. After one month renting this place, with bad internet, no curtains and on top of that a plumbing problem which I was very flexible about, Globe Homes could also have been flexible for leaving my suitcase for a bit in the apartment while I was getting coffee. After all, I paid quite a lot of money for this apartment. The apartment was in a good location. It had everything I needed for the weekend while I visited with family. © 2019 Globe Homes LLC All rights reserved.